I got an Obsessive Compulsive Cosmetics nail polish in the color Pool Boy in a subscription box recently and was really excited to try it. When I swatched it, it was a very creamy creme, so I thought it would work well for stamping, and it did! And the base is painted with two coats of China Glaze Rare and Radiant. 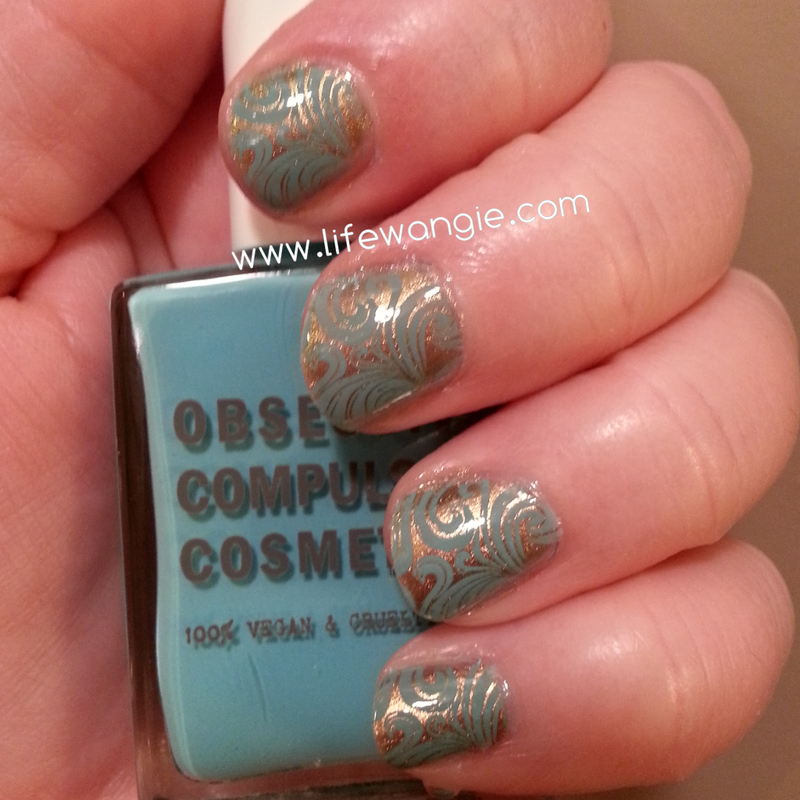 I also did a top coat over the China Glaze and then another layer of top coat over the stamping. 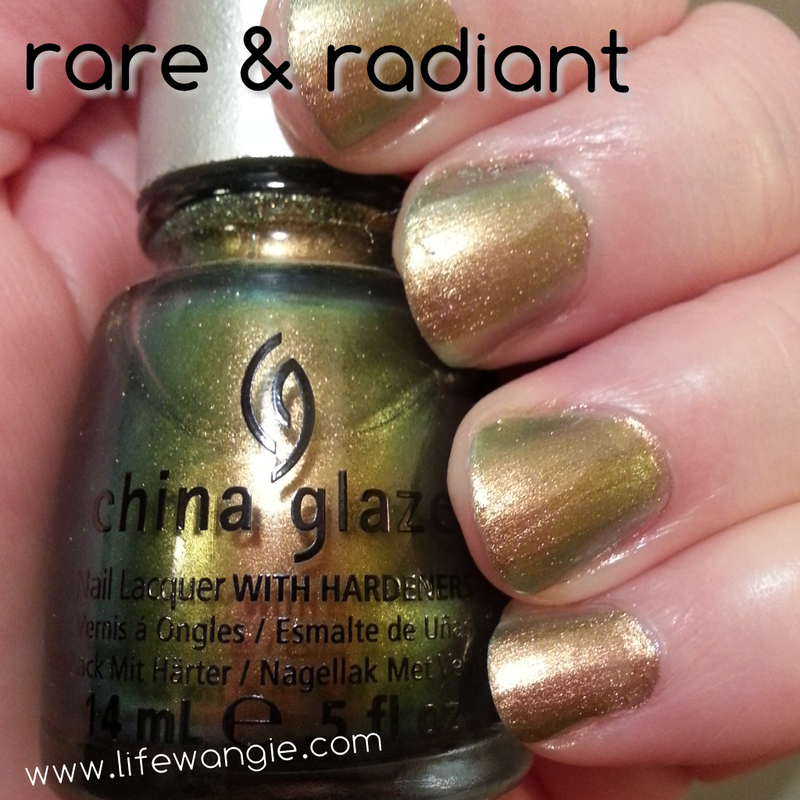 I love the color combo of this greenish gold duochrome with the pale blue over the top. It really reminds me of the natural colors of the seashore. I love what you did with this. 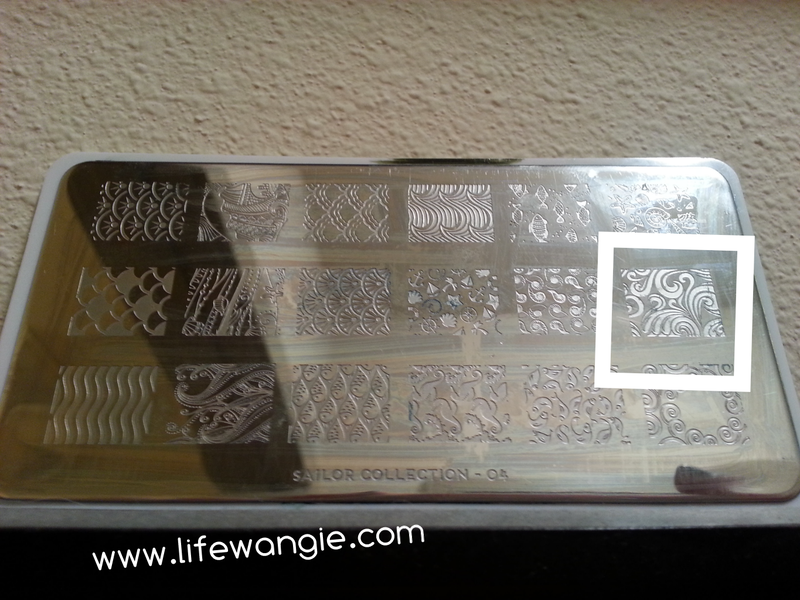 I need to start stamping I think.